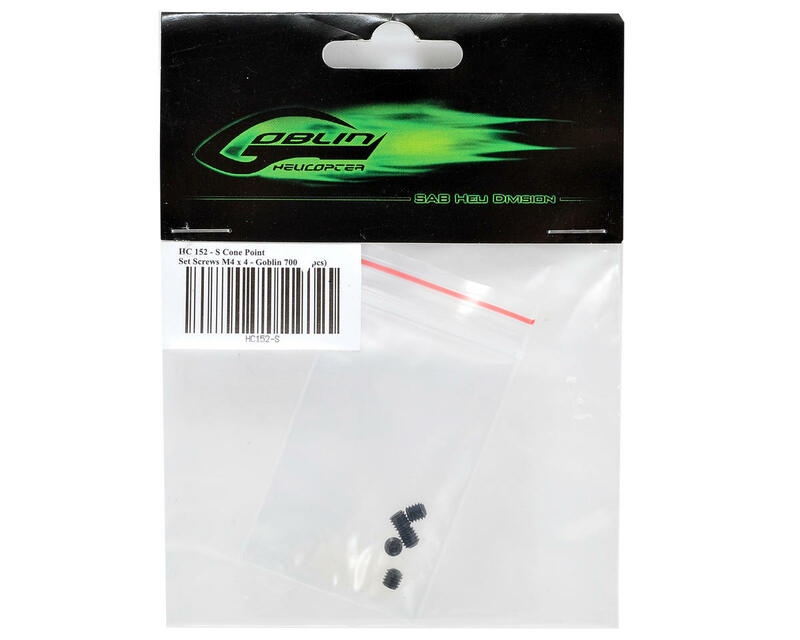 This is a pack of five replacement SAB 4x4mm Cone Point Set Screws, and are intended for use with the SAB Goblin 630 and 700 Helicopters. 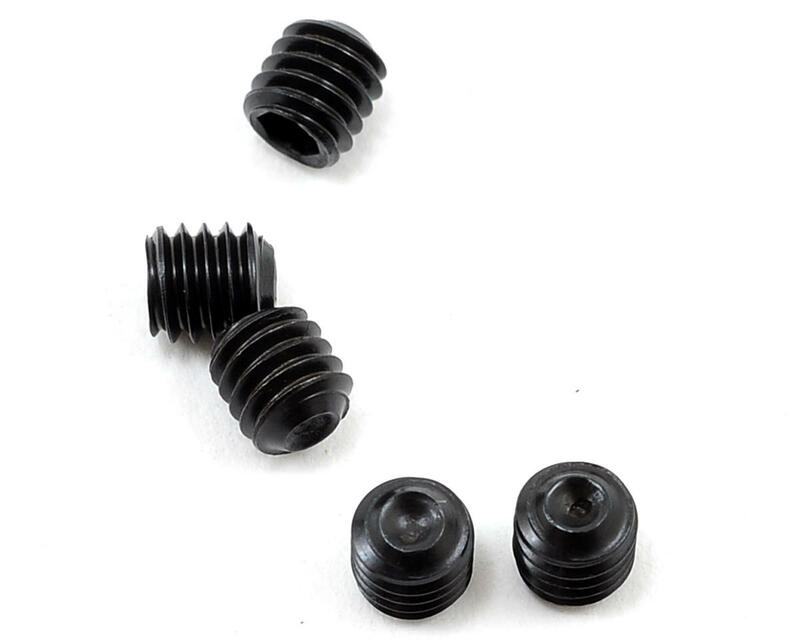 These are used to secure the motor pulley to the motor, to secure the tail rotor hub assembly to the tail rotor shaft, as well as to secure the tail rotor pulley to the tail rotor assembly. These screws are DIN 12.9 grade hardened steel and can be used in any application that uses the same size screw.